Let’s face it. There aren’t to many resume writing companies out there that know what employers in the construction, electrical, powerline, excavation, drilling, farming or other real working man jobs are looking for on a resume. Working Man Resumes is your resource for a custom written resume that makes sense to employers in the industries that make the world go ’round. In this tough economy you need to stand out if you want to get one of the few jobs available. You can’t simply throw your experiences on a piece of paper – you have to SELL EMPLOYERS on the your skills, experiences, education and abilities. If you can’t, the person that did sell them will get the job! That means that you have to carefully highlight the skills you have obtained. You can’t afford to be sky about what you have put your hands, body and mind through earning your paycheck. If you dry walled an entire building or built a 3,000 mile transmission line, let them know in your resume! Be sure to highlight the things that are going to make you stand out from the hundreds of other applicants that are applying for that same job! Working Man Resumes is a professional resume writing service. Our writers have worked in or with the industries our clients need resumes written for. 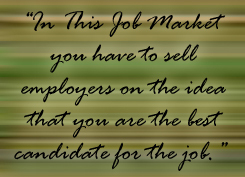 They know what employers are looking for, how they want it said and where it needs to go on your resume to make it count the most. Be sure to check out our free resume writing tips on our blog page. If you still don’t feel you have a resume that is going to get you the job, go to our order page and get a custom written resume written for you by a professional resume writer. 800-730-3244 Your Resume will be written by an American. Our business is American owned and operated. Keep your money in our great Country to help us fight to keep American jobs.